A 25-year-old Afghan interpreter who protected the lives of British soldiers in Afghanistan has been refused asylum in Britain despite claims he is a target of the Taliban. In an interview with The Guardian, Aslam Yousaf Zai said he was forced to flee his home in Kabul after a group of Taliban extremists singled him out for working with British soldiers and warned they would murder him and harm his family. After making his way to Britain, the former interpreter applied for asylum. He subsequently received a letter from the Home Office informing him his application had been refused. “I come here, for one year there has been nothing. Then after one year they give me interview at Home Office and in 16 days they refuse my asylum,” he said. In a letter addressed to Zai, the Home Office said it accepts he worked with the British Army. However, it demanded he return to his homeland, arguing such a move would not endanger his life. The letter outlined a number of reasons for the Home Office’s decision. Among these, was Zai’s apparent failure to prove the Taliban knew he worked as an interpreter for the British Army. Zai first learned English while at private school in Afghanistan. He began working alongside British troops as an interpreter there in 2009. The 25-year-old says he took the position because he opposed the Taliban’s actions in Afghanistan, and was hopeful an international force would help better his country. His work as an interpreter took him to Helmand in southern Afghanistan, where he accompanied UK forces attempting to weaken the Taliban’s control over the opium-producing region. Zai claims to have been under fire each day, as his job made him a target of Taliban insurgents. “I was in the frontline, every day in patrol, every day in contact, ambush,” he told The Guardian. Zai also claims to have conducted intelligence work by hacking and listening in on Taliban radio messaging. He said when he returned to his hometown of Kabul his work as an interpreter for the International Security Assistance Force (Isaf) became known, and his life became endangered. “Every day we are sitting with people, we make shura [consultation]. And after that, when I come to Kabul, the people from there, they saw me in my village,” Zai said. Zai said those who worked as interpreters were disliked in Afghanistan because locals viewed them as spies for Britain and America who facilitated the killing of people. He said he became the subject of regular threats, first from neighbors and later from the Taliban who allegedly texted his father’s phone and contacted him at work to warn they knew everything about him. The 25-year-old said he resigned from his well-paid job with the British Army after the threats began, and remained in his family home for 12 weeks. He said one of his friends was killed after leaving an interpreting role for foreign troops. If he remained in Afghanistan he would likely face a similar fate. Stephen Hale, chief executive of Refugee Action, said he hoped the Home Office’s decision is overturned through appeal. Britain cannot abandon Afghan interpreters who risked their lives to work with British troops, he told the Guardian. “Afghan interpreters put their lives on the line to work with British forces, as well as the lives of their families,” he added. Speaking to RT on Tuesday, a spokesperson for the Home Office declined to comment on Zai’s case. She said the Home Office has nothing to add to the letter sent to him. Katwala expressed hope the Home Office might review Zai’s case so as to ensure a just and fair outcome. He added the British public has consistently called for Afghan translators to be offered protection and security in the UK. 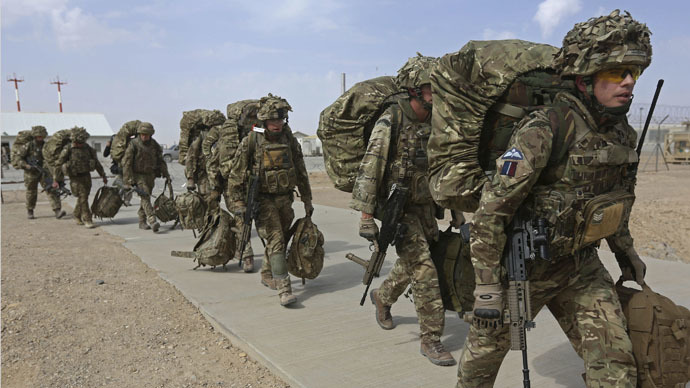 In January, Afghan interpreters who were employed by the British Army, and whose lives are thought to be in danger, argued the British government has failed to extend equal treatment to Afghani and Iraqi interpreters. However, Britain’s Afghan redundancy scheme was markedly different. The only Afghani interpreters who were offered an opportunity to indefinitely relocate to the UK were those who served in Britain’s armed forces from December 2012. Their resettlement was further dependent on whether they had worked in Afghanistan’s Helmand province.